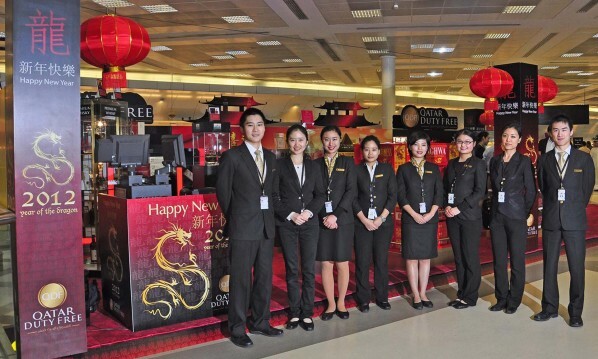 Qatar Duty Free, a subsidiary of Qatar Airways, is celebrating Chinese New Year with an exclusive Chinese-themed promotion this month at Doha International Airport (DIA). Chinese New Year is the most significant date on the Chinese calendar, celebrated not only in China, but across the Asia Pacific, from Japan to Singapore. 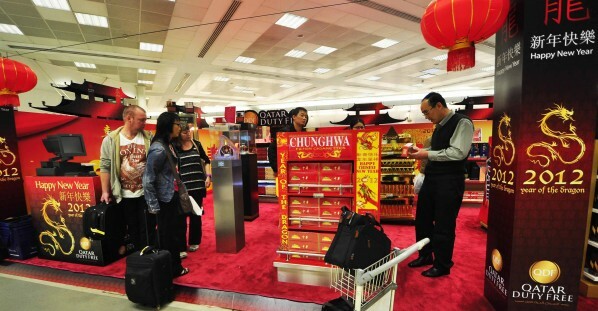 To compliment the festive spirit and atmosphere of the Chinese New Year celebrations, the promotional area of the Departures Terminal has been beautifully decorated with oriental designs offering an exciting array of popular products for Chinese consumers across various categories including fragrances, cosmetics, skincare, luxury watches, gifts and souvenirs. The year 2012 is special as it is the Year of the Dragon, signifying good fortune and prosperity. Qatar Airways, the national airline of the State of Qatar, flies to five destinations across China – Beijing, Shanghai, Hong Kong, Guangzhou and Chongqing with a total frequency of 35 flights each week. The carrier was recently recognised as offering the World’s Leading Airline Business Class by the prestigious World Travel Awards. There has been a steady growth in the number of Chinese passengers transiting through Doha International Airport in the last few years and, as part of the New Year promotion, they can avail of an exciting array of offers on products, chances to win gift vouchers, avail scratch and win offers and many other exciting gifts. Qatar Airways chief executive Akbar Al Baker hailed the efforts of Qatar Duty Free for coming up with such an innovative promotion and providing Chinese travellers with a memorable shopping experience at Doha International Airport. “China is a huge market for Qatar Airways and, on behalf of our airline in celebration of Chinese New Year, we offer our best wishes for a very happy and prosperous New Year,” he said. According to the 2011 China Luxury Report, jointly released by the Research Centre for Luxury Goods and Services at Beijing’s University of International Business and Economics (UIBE) and lifestyle magazine Fortune Character, over half of luxury purchases made by Chinese consumers take place overseas, and more than 50 per cent of those are made in foreign duty free shops. China is the world’s fastest growing economy today.